Manufacturers of Dumpsters & Containers For The Waste Industry. Optimum Quality. Premium Service. 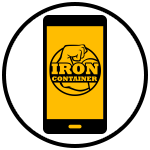 Iron Container is one of the most recognized names in Roll-Off Dumpsters, Refuse Containers, Trash Compactors and more! 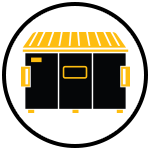 View our products including Roll Off Dumpsters, Refuse Containers, Trash Compactors, Plastic Containers & Parts. Dumpster Exports & Container Exports to all regions including The Caribbean, Central America & South America. If you are looking for the best dumpsters and waste containers for the best price, contact us today – we are here to help! We Export Rolloff Dumpsters And Trash Containers! Iron Container LLC manufactures waste & roll off containers, front & rear load dumpsters and more for Florida, Caribbean, South America markets. Iron Container manufactures a full line of dumpsters and specialty steel waste containers such as Front Loaders, Rear Loaders, Roll Off Containers, Compactor Receiver Cans and other Steel Dumpsters. Our large certified facilities feature planned work flows, mechanized work stations and experienced tradesmen to optimize production of our steel waste containers and dumpsters. 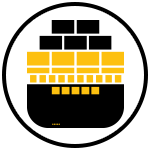 We deliver on spec and on time using prime quality material to ensure your equipment lasts and performs the way it should for years to come. Our locations in South Florida and Central Florida effectively serve private and municipal customers all over the South Eastern United States and the Caribbean. Our specialized shipping designs and options for all front-load dumpsters, rear-load dumpsters, roll-off containers, etc. allow our customers to maximize their freight dollars while getting top quality containers.